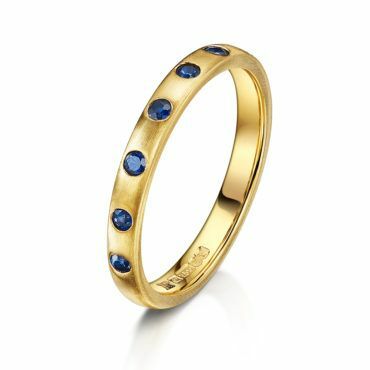 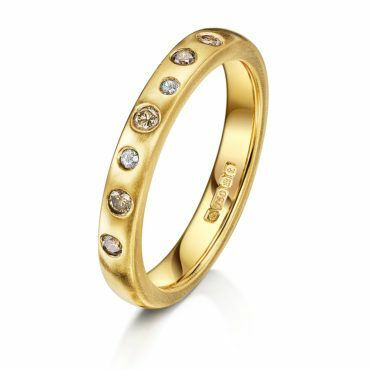 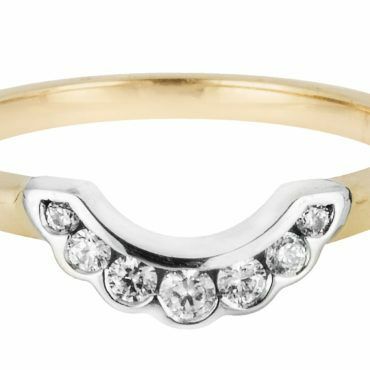 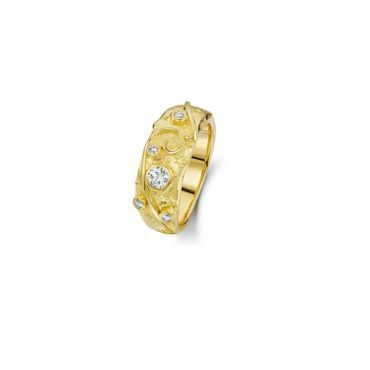 View basket “18ct Yellow and White Gold Diamond set band” has been added to your basket. 18ct Rose Gold Ring fully set with Baguette and Brilliant Cut Diamonds. 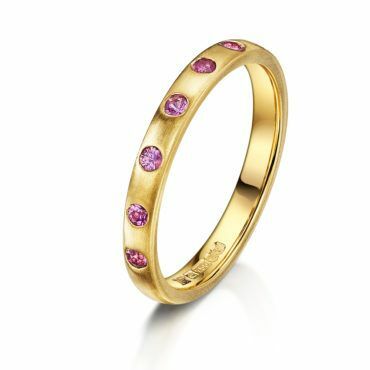 Also available in 18ct Yellow Gold and Platinum. 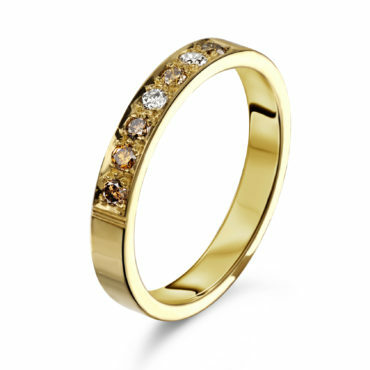 18ct yellow gold ring with a brushed finish set with champagne and brown diamonds. 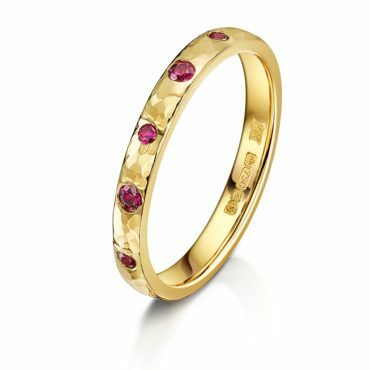 Hammered 18ct yellow gold ring set with deep red rubies. 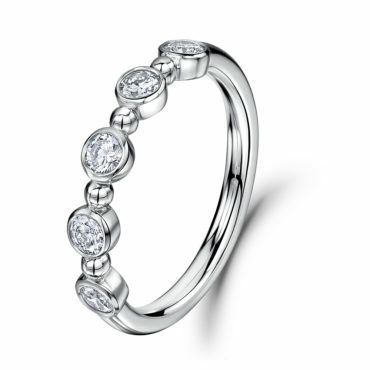 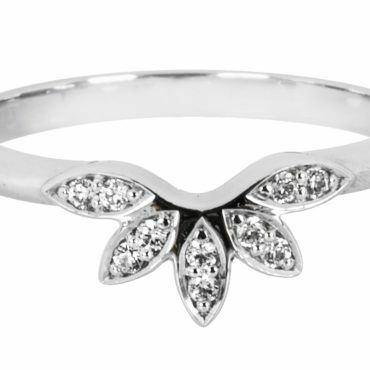 Platinum and Diamond Ring shaped to fit round an existing ring or fabulous on its own. 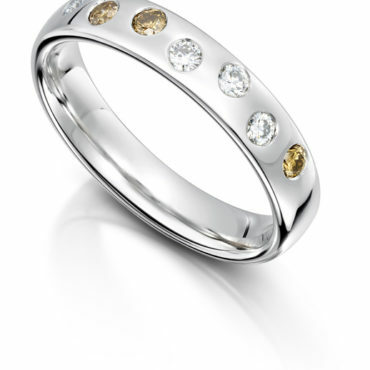 Platinum Court shape band set with 7 Brilliant Cinnamon and White Diamonds. 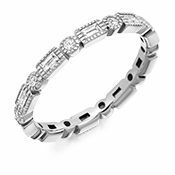 Five brilliant cut Diamonds bezel set with bead detail.